It’s all well and good that we made a film, but what are you supposed to do with it? Take a look at the discussion notes compiled by Alom and Mary Whitehouse at the University of York (PDF link). That document also includes a bunch of references (the film isn’t just us making stuff up you know, there’s research and everything!) along with Alom’s practical tips for performing demos. DEMO is really intended to be watched in your own time, as a pick-me-up when the day-to-day grind has dulled your enthusiasm, or to reinforce and help clarify how you think about demonstrations. It’s a bit long, perhaps, to watch in a staff meeting or training course, though we’re already hearing reports of it being used that way. With Alom’s previous film Why is Science Important? one thing that proved useful was having the film chunked up into individual scenes. DEMO has so many forward- and back-references we’re not sure that would be appropriate, however if you’d really like a specific scene pulled out, drop us a note in the comments here and we’ll see what we can do. Alternatively, you can dissect the film yourself on YouTube. 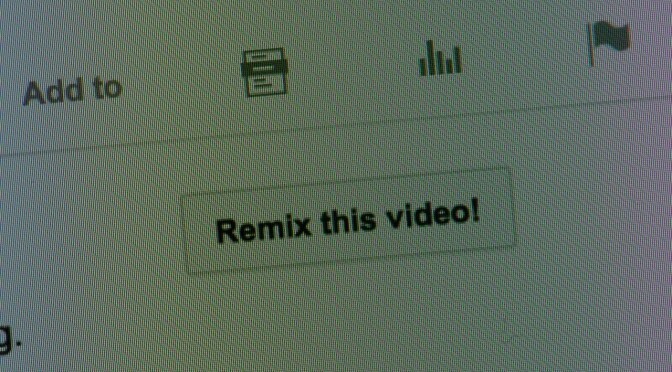 If you’re signed in, below the film you’ll see a button labelled ‘Remix this video!’. By the magic of Creative Commons licenses, pressing that button will pull the film into YouTube’s editor, allowing you to chop it up to your heart’s content. All we’d ask is that you include a link back to http://demothemovie.com in your film and its description, so people can find the full story.